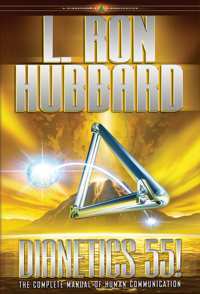 “It will be a great shock to Dianeticists to discover that, although we have the Second Book on Dianetics, that it is totally dedicated to exteriorization. This will be a great shock. But that would be mostly because they never read the First Book.” In speaking of Dianetics 55! 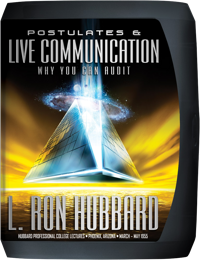 L. Ron Hubbard opened the preeminent ACC on communication. 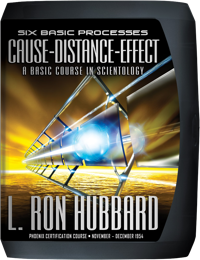 Having launched from the standpoint of exteriorization (Scientology 8-8008 and the Philadelphia Doctorate Course), research had concentrated on all auditors attaining that goal with every case. The first plateau was Intensive Procedure, the codification of processes most workable in auditor’s hands, released as the Auditor’s Handbook and then, much expanded, as The Creation of Human Ability. 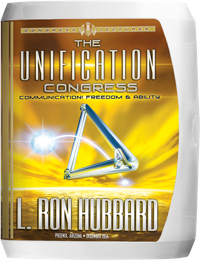 And now the Communication Formula provided the breakthrough to even greater application and, with that, the means to unify Dianetics and Scientology. 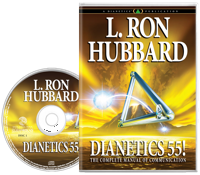 Scheduling a Congress, Mr. Hubbard immediately convened the 9th American ACC to teach auditors application of Dianetics 55! to make Clears. 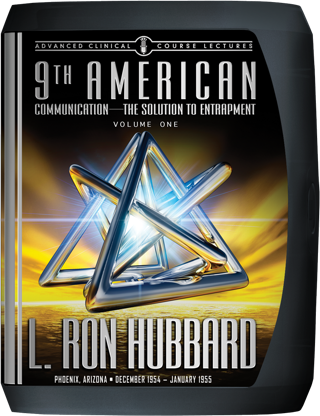 The 9th ACC stands as the consummate statement of communication, addressing every detail of the subject in depth. Culminating an era of development beginning with the 1st ACC, here is a profound, professional study of the crucial component that would monitor all future auditing.